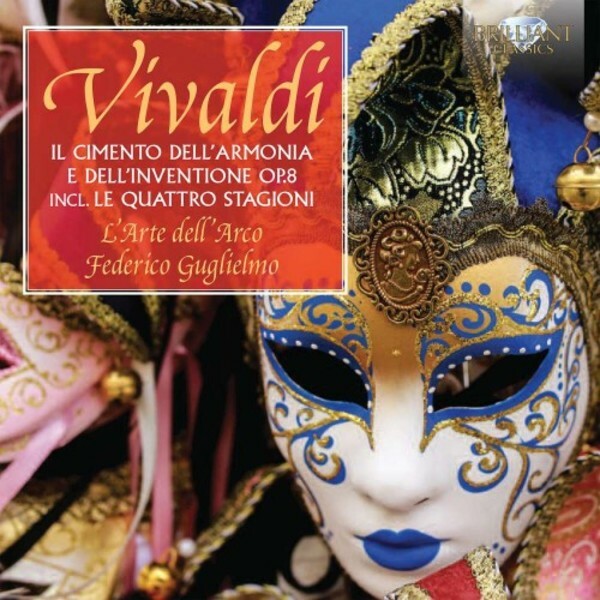 The last issue, a crowning achievement, of Vivaldi’s complete Opus 1-12 is the Opus 8, the 12 violin concertos which include the famous 'Le Quattro Stagioni'. The performance of Federico Guglielmo and his L’Arte dell’Arco strip the Four Seasons of centuries of misuse, romantic veneer and tasteless embellishments, going back to the roots of the music, and discovering the essential power and originality: “Guglielmo understands the secret language of Vivaldi” (Diapason). The ensemble play on original instruments and use one player per part.